Toward the middle of Ed Begley, Jr.'s book, Living Like Ed, it hit me like a brick wall. Referencing the Natural Resources Defense Council (NRDC) the author points out, "If every household in the U.S. bought just one box of 100% recycled tissue (175 sheets) instead of one box of virgin-fiber facial tissue, we could save 163,000 trees." That's a pretty good-sized forest, wouldn't you say? Begley, though also a successful actor, does indeed walk the talk -- he's been an environmental activist for more than 30 years. As the author tells it in the book, he first got involved with the environment in 1970, the year of the first Earth Day, apparently he hasn't stopped since. Even in the movies his roles have often revolved around preservation of natural things. Though most remember him playing Dr. Victor Ehrlich in the 1980s TV show St. 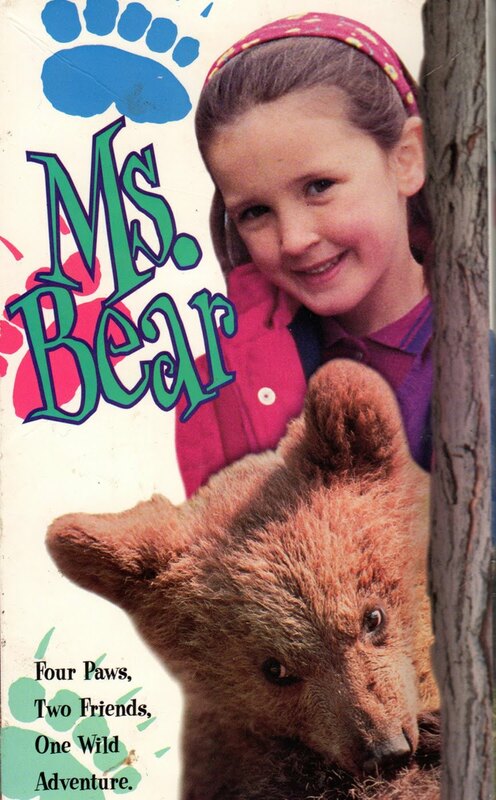 Elsewhere, my kids and I are much bigger fans of his performance in the G-rated family feature Ms. Bear. In fact, my family still owns and loves this 1997 VHS video where Begley stars as a dad with kids who works for the Fish & Game Department. The actor-environmentalist continues to work frequently in Hollywood both in mainstream films as well as traditional and new media focused on ecology, nature, and preservation. 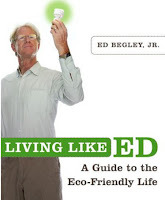 Of particular note is Begley's popular environmentally-correct show Living With Ed considering the number of views of this program's webisodes from the new season. At the same time, he successfully markets Begley's Best line of nontoxic cleaning supplies online and sometimes makes personal appearances with his eco products at farmer's markets. He's actively spreading the environmental word still further via Twitter and Facebook, too. It's amazing that someone so dedicated to earth-friendly causes was born in Los Angeles -- a town better known for its smog. And it's even more of a mind-blower to find out that rather than escape to greener pastures in some far away rural area, he has decided to permanently settle in L.A., doing his part to model green living for the rest of this sprawling, urban metropolis' inhabitants, which includes our family of six. Even though mostly written by Ed, wife Rachelle Carson-Begley's contributions are evident throughout this title's pages. Pointedly, in the foreward of the book she confirms Ed's conviction that the couple and their 10 year old daughter are committed wholeheartedly to living the green life, sharing with us why they chose not to buy a home in Beverly Hills. "We live in a charming little house in Studio City, complete with a white picket fence made of recycled plastic milk jugs," she says. You get the picture. This is one earth-passionate family. This photo, which is from Rachelle's official website, shows the happy couple living the green life with the famous recycled white picket fence in the foreground. I just love this pose, because it evokes a modern day Green Acres (the old TV show from the 1960s). Well-organized and user friendly, this paperback is broken up into just six chapters: Home, Transportation, Recycling, Energy, Kitchen/Garden, and Clothing/Hair/Skincare. In each section, which includes some photos of the author in action as well as an array of interesting sidebars, facts and resources, Begley tells and demonstrates how his own family practices the advice he shares. If I had to choose though, my favorite chapter would be the last, because that's where I personally learned the most. In Chapter 6, Mrs. Begley says, "People who make it a point to eat only fresh, organic food often aren't aware of the choices they have when it comes to clothing and hair- and skin-care products ... But it's not only what you put into your body that matters; what you put onto it matters just as much, too." I had no idea that things like harmful fabric dyes used to make most clothing is polluting our earth and water and that synthetics such as those used to make many plastic shoes are usually made from petroleum. Yikes and yuck! Don't worry, I intend to delve further into exploring those particular topics this month for my eco post series, both here on MommyBlogExpert as well as on Zulily.com's Blog, where I write a mommy blogger column. Actually, I'm already working on several related features and product reviews on this front, so definitely bookmark both the two links here right now. This book doesn't just dispense information, it inspires and engages readers in an active way. A workbook section at the back proves that all this stuff the Begleys are talking about really does work. All one has to do is complete the fill-in-the-blank forms provided with the small and not-so-small changes you've made, and you'll be able to witness first-hand any improvements in efficiency and dollars saved. Living Like Ed isn't brand-new, having been published in 2008 by Clarkson Potter, an imprint of Crown Publishing Group, a division of Random House, New York, yet it is still a book that is as much ahead of its time in 2010 as it was the year it came out. In my own humble opinion, it's among the finest books written to date on accessible eco-conscious living for the average family. Readers, at every level from green newbies to eco-savvy consumers will benefit from the many simple ideas on protecting the earth's valuable natural resources complete with all the step-by-step directions that even the most challenged do-it-your selfer can easily handle. With their self-sufficient solar-powered L.A. area home and fleet of eco-friendly vehicles -- including his electric Phoenix Motorcars sport utility truck which can be recharged using their home's solar power, her hybrid, and the family bicycles -- and all the composting, recycling, and other green things they do, The Begley Family is a fine example to aspire to. Our family, for one, may never be nearly as committed as they are. But just think of the impact we collectively can make if my family and yours and all the other families who read this blog try to do just a few of the "Little Changes," as Begley terms them in this book. I doubt few of us would be surprised, if we added up all those small gestures, to discover that the environment would be impacted in a truly big Living Like Ed kind of way. Living Like Ed by Ed Begley, $18, is printed on 100% post consumer recycled paper and is available for purchase at booksellers on the Internet and offline. Families on a budget might also consider checking to see if this book is available from their local library or buying a second-hand copy on Amazon.com and similar online marketplaces. FTC Disclosure: MommyBlogExpert wrote this review based on a copy of Living Like Ed borrowed from the extensive collection of green living books available at the Beverly Hills Library. MommyBlogExpert did not receive any products, payment or other compensation associated with any company or product referenced in this post. See complete FTC Disclosure information that appears at the bottom of MommyBlogExpert's main page and at the bottom of every individual post on this blog, including this one.